Indigenus, the largest independent global network of entrepreneurial healthcare creative agencies, announced the election of Rico Viray as Chairman and Florian Bernsdorf as Co-Chairman at the global network’s biannual forum. Mr. Viray and Mr. Bernsdorf take leadership of a network that provides pharmaceutical and healthcare companies with innovative multichannel global branding, advertising, medical education, and medical communications. Expansion planned, with the credentialing of potential partners from China and Australasia Indigenus forums take place twice a year, and are hosted in turn by Indigenus partner agencies. PharMa International, the network’s Tokyo-based affiliate, is the first to host an Indigenus forum in Asia. “Indigenus has always been about bringing together the freshest thinking from the best minds in the business, across each of the key markets. There is a shared culture that celebrates collaboration, creativity, and innovation, and these biannual forums provide an essential melting pot,” commented Rico Viray. Indigenus partners from 9 markets and 2 new potential partner agencies traveled to Japan for the meeting, which took place over 4 days in Tokyo and Kyoto. In addition to electing senior officers, Indigenus partners also evaluated potential partners from China, Canada, Australia, and New Zealand. Agreements are now being formalized, an expansion that gives Indigenus leading agency partners in all major and emerging markets. The next Indigenus forum will take place in October in Italy, hosted by local partner agency, thenewway. Indigenus Global Network Indigenus is the largest independent global network of entrepreneurial healthcare creative agencies. 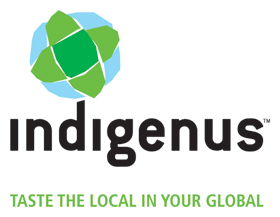 Indigenus was formed in 2004, and became an agency-owned LLC in 2011. The network provides 100% global coverage, with 13 agencies serving major and emerging markets: The CementBloc (USA), PAN Advertising Limited (UK), umbilical (Spain), Strategik & Numerik (France), Serviceplan Health & Life (Germany), thenewway (Italy), g Healthcare (Turkey), Marketing Latino (Mexico), Sorento Healthcare Communications (India), PharMa International Inc (Japan), Thanks Comunicação (Brazil), Lindh & Partners (Sweden), and Micó Publicidad (Argentina). Indigenus is currently credentialing potential agency partners in China, Canada, Australia, and New Zealand. Secondary markets are served by the Worldsourcing Initiative (WIN), which centralizes rollout to drive brand consistency and cost-efficiency. Visit www.indigenus.net to learn more.